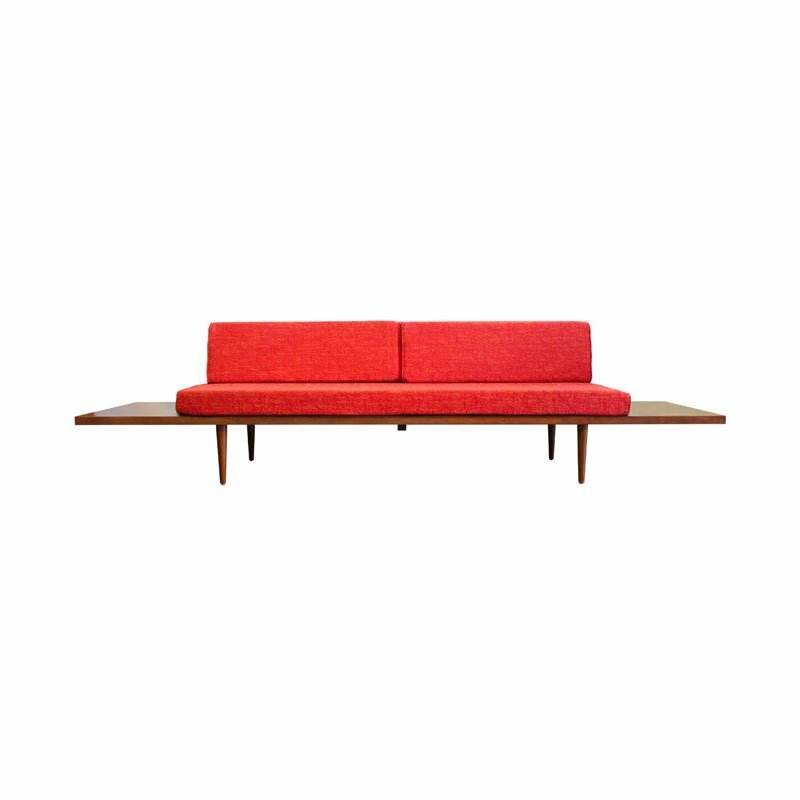 Our amazing, handcrafted mid-century modern style daybed/sofa incorporates both style and function. The extended floating side tables are perfect for a home, apartment, den or office that needs a sleek statement piece. Pair with our Classic Chair or Ottoman for a larger coordinated seating arrangement. Handmade from solid alder wood stained in rich walnut, this handsomely tailored sofa will match almost any decor.